Spotted on the University of London website just the other day. I wonder wheather the University runs a short course in proofreading or spelling? 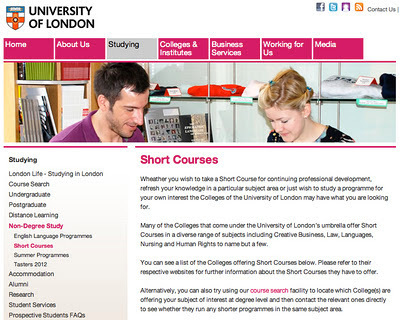 Taster Courses have been developed short courses organised by universities in London to provide Year 12 students, or equivalent, the opportunity to experience life at university before making their UCAS application. As I said, oh dear.